The International Break was long and full of terrors. Yet it was not without an upside. 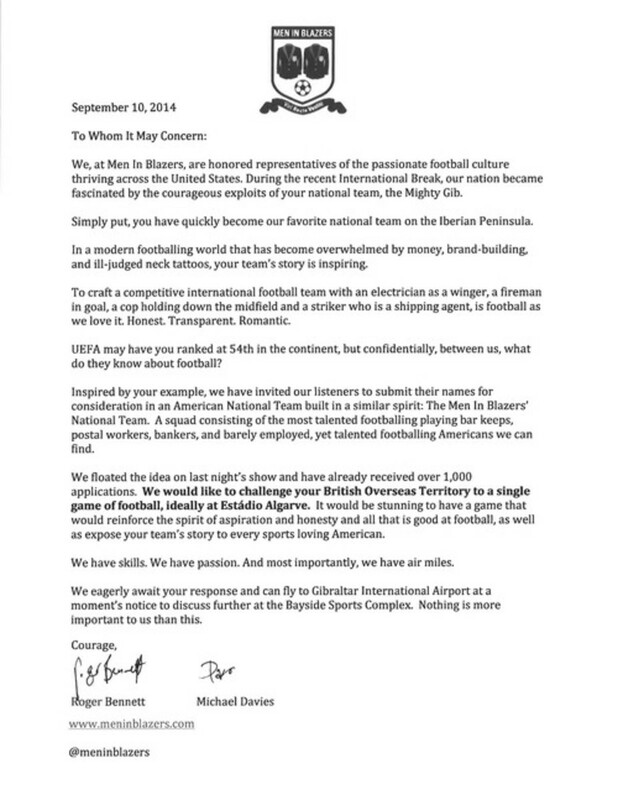 America fell in love with the Gibraltar National Team and so the Men In Blazers National Team was once more put on standby after this Fax was dispatched to the Gibraltar Football Association’s Headquarters. 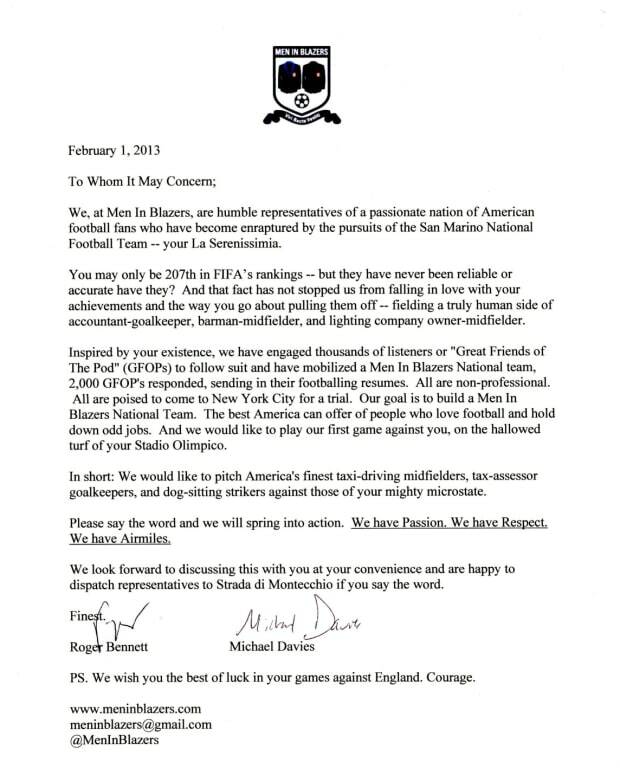 While we await an official response from Team Gib, you can sign up for the Men In Blazers National Team by making your case via Raven at MENINBLAZERS AT GMAIL DOT COM. Courage.